This protective anti-aging formula hydrates and revitalizes the eye area. Prevent deepening of fine lines and wrinkles with Shea Butter, Hyaluronic Acid and Essential Fatty Acids, which act as a barrier to the elements. Beta-Fructan and Liquid Crystals repair damaged skin and increase elasticity around the eyes. Anti-inflammatory Blueberry Extract and Vitamin E heal and soothe skin. The antioxidant-rich formula defends skin from pollution and cellular oxidation, and is ideal for under-makeup application. Aqua (Water), Cholesteryl Oleyl Carbonate (Liquid Crystals), Simmondsia Chinensis (Jojoba) Seed Oil, Cholesteryl Stearate, Cholesteryl Nonanoate, Glycerin*, Butyrospermum Parkii (Shea) Butter, Phenyl t-Butylnitrone (Spin Trap), Salvia Sclarea (Clary) Oil, Lavandula Angustifolia (Lavender) Oil, Aniba Rosaeodora (Rosewood) Wood Oil, Sodium Hyaluronate (L), Aloe Barbadensis Leaf Juice*, Allantoin, Zea Mays (Corn) Silk Extract, Oryza Sativa (Rice) Bran Oil, Acacia Gum, Potassium Sorbate. Use daily. Moisten fingertip and apply to under eye area using an outward to inward motion. Click the button below to add the ARCONA Eye Dew to your wish list. 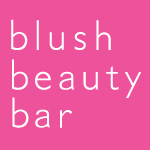 Sign up for our Beauty Buzz!